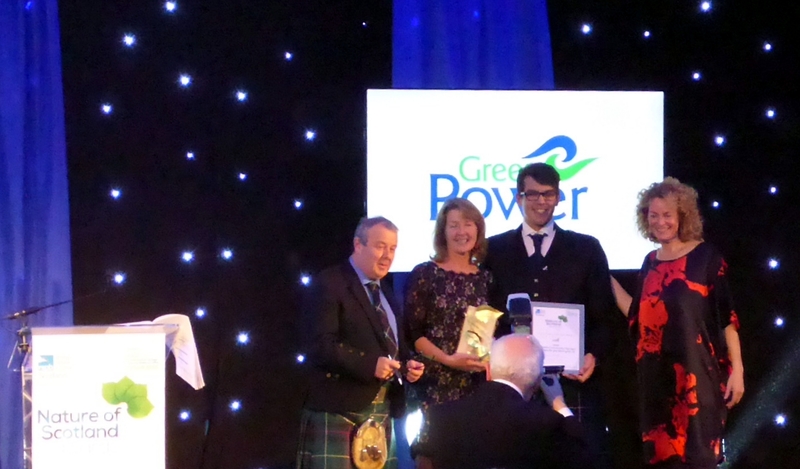 GreenPower was delighted for the fifth year running to sponsor the Community Initiative Award at the RSPB Nature of Scotland Awards on Thursday 22 November 2018. The awards celebrate excellence, innovation and outstanding achievement in nature conservation and there were many inspiring people and projects shortlisted. 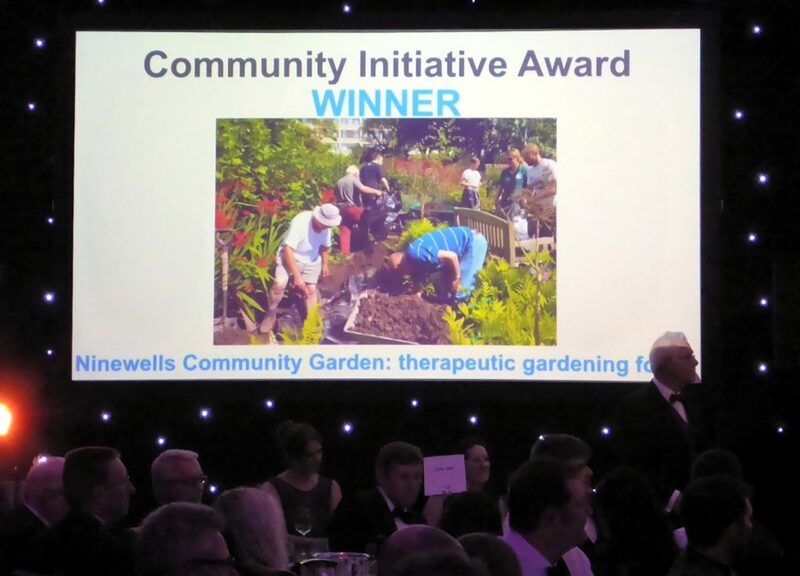 Ninewells Community Garden lies in the beautiful arboretum of Ninewells Hospital in Dundee and promotes physical activity and healthy living through community gardening. The garden is free to visit and is open to all, 7 days a week and is an environment where horticulture supports wellbeing, therapy and rehabilitation. The award was presented by Findley Forrest of GreenPower.